Of course this is not Dairy Ricotta – but it is a deelish vegan alternative! You can use this mixture for lasagna or manicotti, etc. Make the Vegan cheese ricotta. Crumble the tofu and make sure it is fine, no big pieces – looks like ricotta. Add the herbs and vegenaise, which makes it super creamy. Then add the lemon juice, nutritional yeast, garlic powder and salt and pepper and mix well. In two separate bowls, put the bread crumbs (also, herbs and salt and pepper) and Ener-G eggs and take each slice and coat in the egg mixture and then in crumbs. 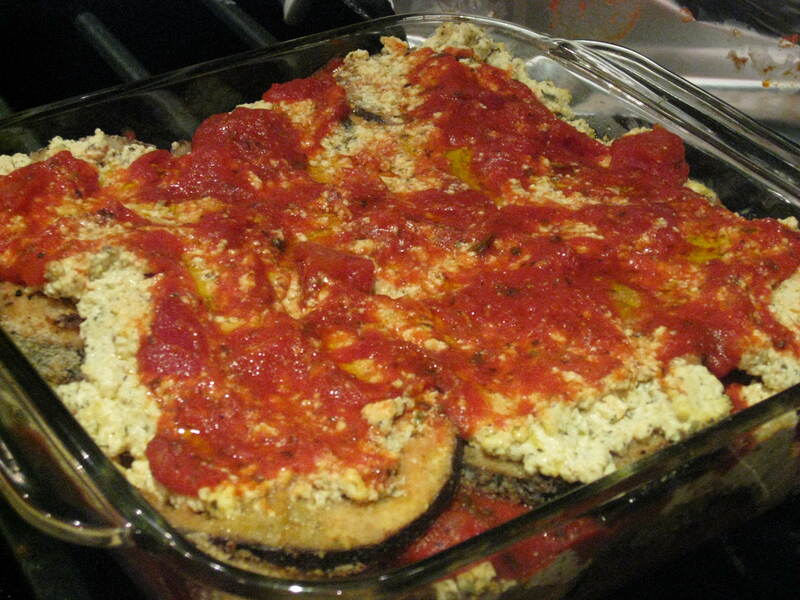 You could fry the eggplant or to keep it Much healthier broil the coated slices for 2 minutes on each side. Use an 8×8 glass baking dish and layer some sauce on the bottom. 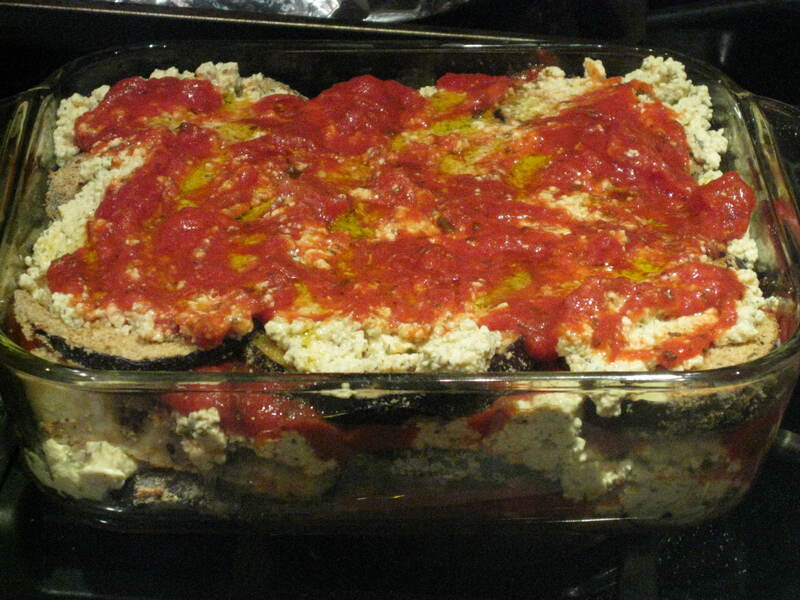 Then cover the bottom with layers of eggplant and the tofu. Pour on a little more sauce and a drizzle of olive oil and repeat the process. When you have two layers, cover with tin foil and bake for 25-30 minutes. Enjoy!